J.D. 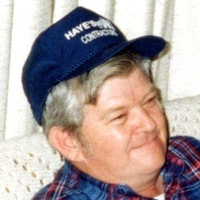 Birchfield, 71, Johnson City passed away unexpectedly Monday, January 28, 2019 at his residence. He was born October 9, 1947 in Roan Mountain to the late Ray & Vicie Hilman Birchfield. He was retired as a tree trimmer. He was of the Baptist Faith. In addition to his parents, he was preceded in death by a brother, Ronnie Birchfield and a brother-in-law: Perry Bradford. Survivors include his sisters: Sue Bradford, Elizabethton, Patsy Griffey & husband Otis, Butler and a brother: Jack Birchfield, Elizabethton, Also survivor include his nieces: Rebecca Willens & husband Travis, Elizabethton, Lori Helmick & D.J. Helmick, Roan Mountain. He had many great nieces & nephews. Funeral Services will be conducted at 2 p.m. Friday, February 1, 2019 in Memorial Funeral Chapel with the Rev. Charlie Trivette officiating. Interment will follow in Happy Valley Memorial Park. Pallbearers will be selected from family and friends. Honorary Pallbearers will be: Melvin Myers and Junior Guinn. The family will receive friends from 1 to 2 p.m. Friday in the funeral home. Condolences may be sent to the family at our web-site www.memorialfcelizabethton.com.